In April this year, The Lookout transformed into every Whisky Lover’s version of paradise in the form of the annual Whisky Live Festival! 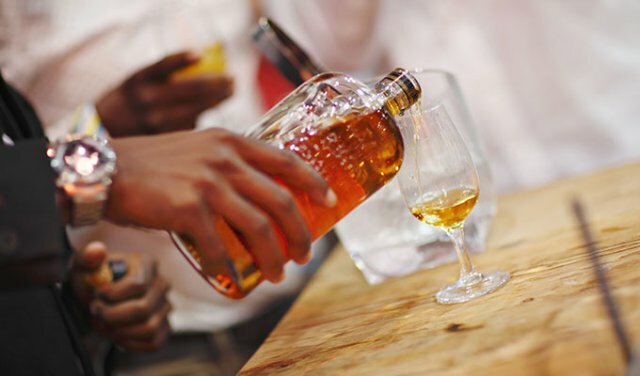 With over 100 exhibitors showcasing their best golden nectar on offer, whether you are a seasoned connoisseur or a novice to the wonderful world of whisky, you will find something to tantalize the taste buds. The Lookout was the perfect Cape Town venue for this sophisticated occasion and we were honored to host it for the second year in a row. Sipping whisky overlooking the bay, the light ocean breeze in your hair, yes please! How could you possibly make this evening even more special you ask? Add a unique Lindt Chocolate and whisky pairing station. That is all! For many this might be an unfamiliar concept, but once you experience it, you will come to the realization that this is a match made in heaven. Hosting so many passionate and knowledgeable exhibitors, beautiful whiskies and whisky loving Capetonians together at our exquisite venue fills our hearts with pure joy and we hope to do it all again in 2017. In the words of Mark Twain – “Too much of anything is bad, but too much good whisky is barely enough”.